Gold Winner - 2011 IP's Living Now AwardsGold Winner - 2011 eLit AwardFinalist - 2011 Eric Hoffer AwardFinalist - 2011 USA Best Book Award Taijiquan (Tai Chi Chuan) is a slow and relaxed moving meditation. It is also a sophisticated martial arts system. Through practicing Taijiquan, you are able to calm down the mind, locate your spiritual center, and consequently find your entire being. From the relaxed moving exercise, you can bring your physical body into an ultimate level of relaxation and natural ease, resulting in smooth Qi (inner energy) and blood circulation. This is a key to maintaining health and recovering from sickness. 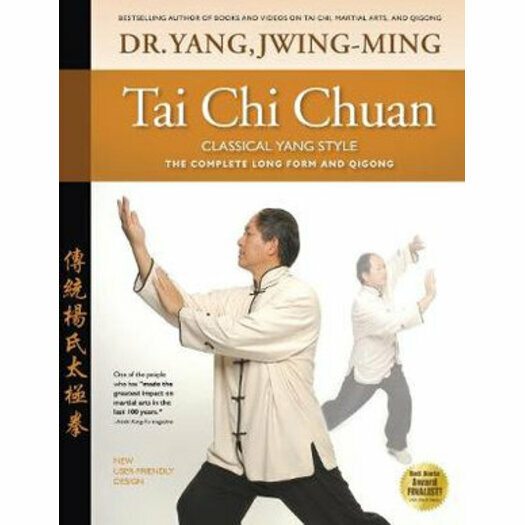 This book is an in-depth guide for beginners to learn Taijiquan properly. It offers a general plan for practicing Taijiquan, and then goes into great depth to present enough content for proper learning. You will learn: * What Taijiquan is * How to practice* The history of Taijiquan* Taijiquan postures* About Qi and Qigong* Main Fundamental stances* Categories of Qigong* Taiji qigong* Qigong training theory* Qigong and Taijiquan* Taijiquan thirteen postures (eight doors and five stepping)* The traditional Yang Style Taijiquan Long Form This REVISED EDITION has a new easy-to-follow layout, each movement presented in a series of large photographs with clear same-page instructions for each Taiji posture. This book is sure to advance your practice and save you much time and energy.